Beautifully Renovated and Spacious !! 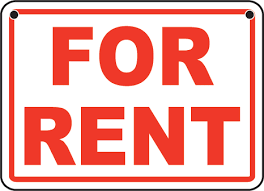 BOOK ONLINE 24/7 - LOW MAINTENANCE, ATTRACTIVE, SPACIOUS & TIDY UNIT!!! AN ENTERTAINERS DELIGHT AND ONLY $310 PW!! BEAUTIFUL NEW TIMBER DECK and KITCHEN + SHED WITH GUEST ROOM! Double story unit in a perfect location! Tastefully Renovated Internally - Inspect TODAY!!! A Stones Throw from Uni, Schools and Shops! For Lease- Prime Position, Packed with Potential. Need Space? 5 Bed, 3 Bath + Office! Home with a Pool and Walk to Shops! Large and spacious Frenchville home! Within Close proximity to the UNI, Schools and Shops! 2 Bed + 2 Sunrooms - Close to Shopping and Sports Club! LARGE BLOCK + PEACE AND QUIET! LARGE 4 BEDROOM + POOL!